Clean the hubcap with warm soapy water. You may need to use a scrub pad for tough areas. Dry it with paper. 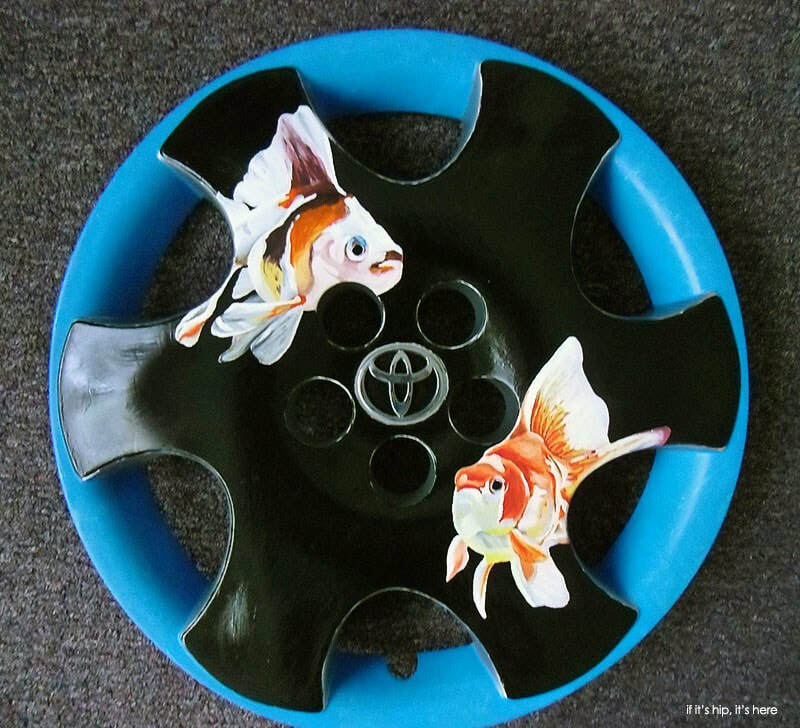 If your hubcap is plastic, you need to sand it with fine sandpaper so that your paint sticks and doesn't peel off. Wipe off with a paper towel to remove the shavings. 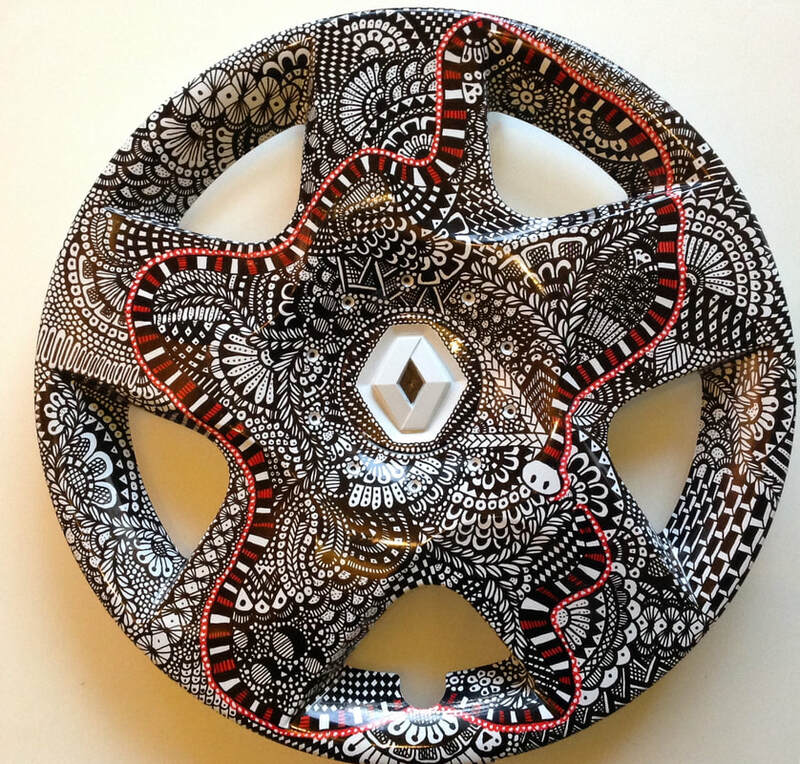 Use spray paint to prime the hubcap. This will create a base for the acrylic paint to stick. 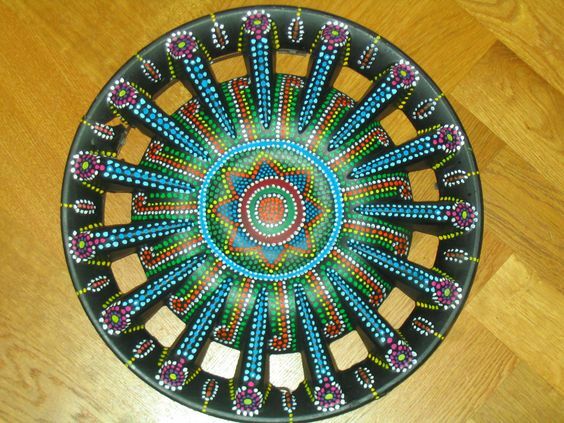 Paint your design using acrylic paint. Click the button below to download the rubric. Upload the test pattern, final photo, and rubric in Schoology.